Poor Josie caught a bug that took her OUT yesterday. She doesn’t get a fever often, maybe once a year, but this one left her out for the count. She barely ate anything until dinner, drank some throughout the day, but spent the day laying on the couch and even took a few naps which is unheard of lately. Today she’s much more on the mend, the fever broke this morning and she’s willing to get up and move around, plus her appetite is back. Her chocolate bunny lost it’s ears this morning and she’s been asking for hearty food ever since. Celia is still feeling well, but Jordi and I could appreciate having only one rambunctious kid for the day instead of two. Even though it meant we missed out on some fun parties we were sad to have to skip. This week we got the quilt I made for Celia back from the quilter. I made the top and bottom, but the quilt is too big for me to machine quilt on my machine and there’s no way I’m going to hand quilt something so I sent it out to a woman with a ‘longarm’ quilt machine who sewed the lovely flowers on the top and the bottom and even did the binding for me. It’s a mis-mash design on top, nothing official, just something I made up from some pictures I saw on the web and liked too. It was my first applique usage too. The back is all purple, same as Celia’s name. And now I’m on to the next one. Josie got a bug theme quilt, Celia got an elephant one, and the new baby will have an owl theme. Hopefully I’ll be close to done with it by the time the baby arrives and not as late as I was with Celia! Finally here at the end of March it feels like spring! Today we went into town and played on the Boston Common and met up with Jordi for lunch. Home again for nap, reading and chore time before we headed outside to play. 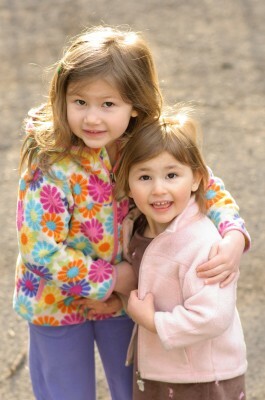 The girls had very minimal patience for me to snap a photo but I got one I liked. Wow it’s been quiet around here! I knew it had been a while since I posted, but I hadn’t realized quite how long. 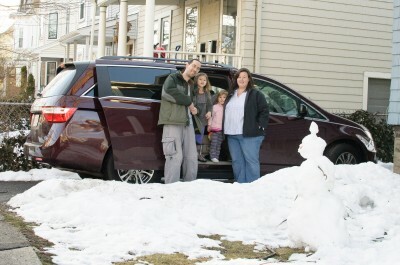 We’ve had a bunch of busy weekends of snow storms and logistical hassles like buying a new TV and a new car. 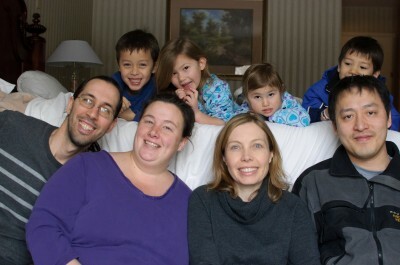 We also had a week of sickness, but mostly healthy otherwise. A few other kids birthday parties, some doctors appointments and trying to keep food on the table and bam the weeks are over short and sweet. I have been enjoying Downton Abbey on DVD and reading and then watching the Twilight series of books and movies. 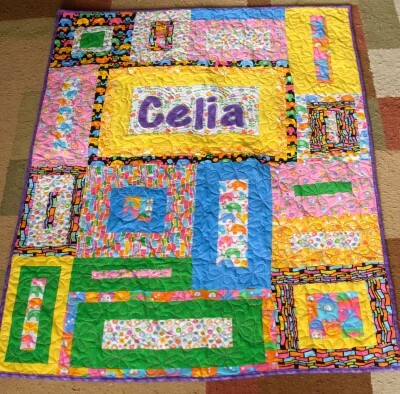 I finished Celia’s quilt, which I will post a picture of later. I registered Josie for kindergarden in the fall. But mostly I’ve been tired, cranky and unable to do much of anything at night because we are expecting baby number three! Hence my enjoyment of some good entertainment from the couch in the evenings. My hips have decided loosen up really early this time and so I’ve been struggling with that for a few weeks which makes walking, standing and bending difficult and by the end of some days I can’t walk without a lot of pain. 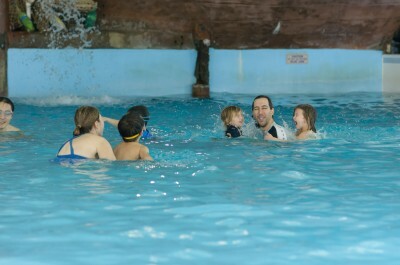 I’ve been doing some stretching and exercising to help get them back in line. The baby is due in middle of July, I’d put my money on the 16th or 17th if I were an odds maker given my previous births. Hence why we needed to buy a new tv car. It’s a new honda minivan, so we can fit all the car seats and even shove my parents in there too. It just barely fits behind our house and in the driveway – we’re getting better at parking it every day. See all that snow above? This picture is from Sunday, now it’s all been long gone with a few warm days. I can’t wait for spring and getting more fresh air and out of the house more often. Hopefully less time in the car too! If anyone is interested in buying a 2005 Toyota Matrix XR, let us know, we’re selling it, we don’t need two cars and it can’t fit three car seats. Low mileage. You are currently browsing the JenJordi.org weblog archives for March, 2013.